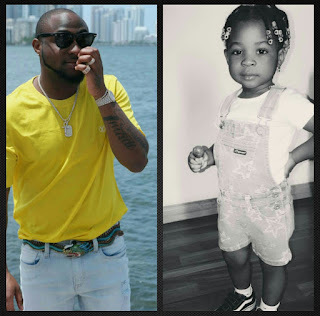 As both Nigerian hip hop superstars are trying to have everything in common, Wizkid brought his son Boluwatife on stage during his concert on Sunday at Eko Hotel, Davido also did the same last night with his beautiful daughter, Imade. The proud father brought her out on stage with smiles on his face. It is so beautiful to be a responsible father.